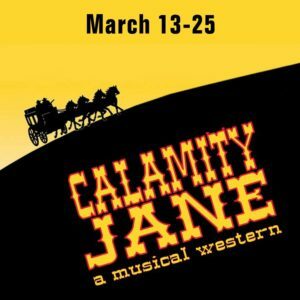 In 1953, at the height of the American film and television industry’s fascination with the West, Warner Brothers released Calamity Jane, a musical loosely based on the alleged romance between Calamity Jane and Wild Bill Hickok. 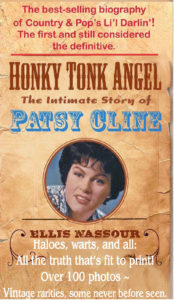 The film starred Doris Day in the title role and Howard Keel as Hickok, and featured a score by Sammy Fain (music) and Paul Francis Webster (lyrics). Although the film did not make a big showing at the Academy Awards that year (Best Original Song was its only award), it did inspire a stage musical that has played over much of the country in repertory and amateur theater. 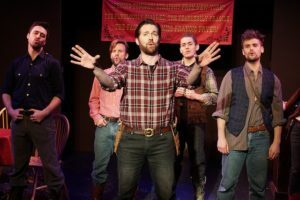 This season, Musicals Tonight brings the pistol-packing lady to Theatre Row’s Lion Theatre in the final production of its 20th Anniversary Spring Season. Directed by Devin Vogel, the musical has a large and lively cast, with Kristin Wetherington and Peter Gosik in the lead roles. 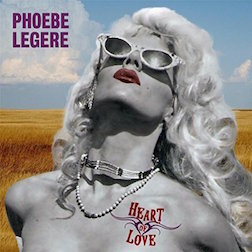 Set in Deadwood, South Dakota, the show has a traditional boy-meets-girl plot in which this girl seems more interested in a lasso than in love. There’s also a subplot, another girl-meets-boy story, this time involving Frances Fryer (Jordan Bell), an actor hired because the local saloon keeper, Henry Miller (Brandon Grimes) thought he was a beautiful woman who would bring in customers; and Katie Brown (Rosalie Burke), a wannabe actress Calamity brings back from Chicago, mistaking her for her boss, the famous heart-throb, Adelaide Adams (Emily Larger). 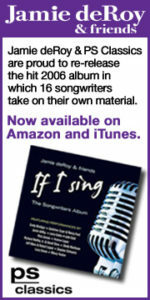 In fact, there are probably too many songs in this production, which clocks in at well over two hours. But despite the overwhelming demands on the cast, it’s most likely the audience and not the performers who are most tired when the lights go out. Unfortunately, the light will be going out for the final time March 25, when this show finishes its run. 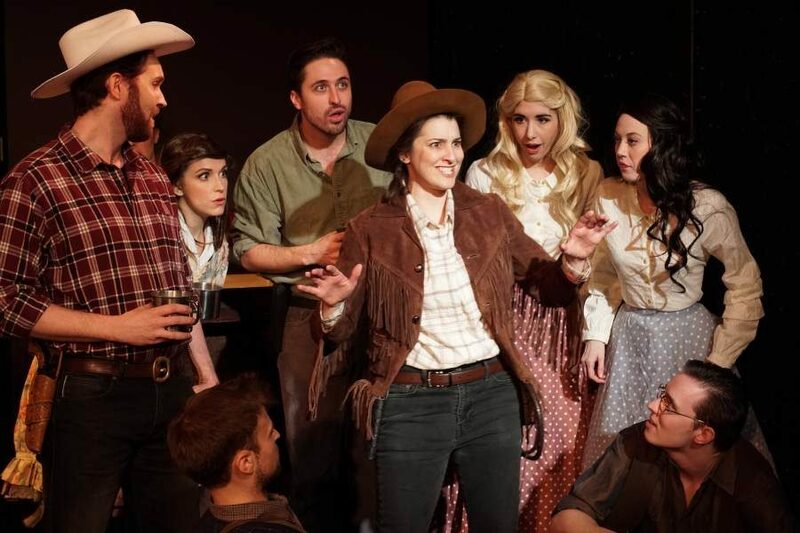 Calamity Jane: a musical western is the final show of Musicals Tonight’s final season. That’s a shame because the company often revives musical today’s audiences might not otherwise see.